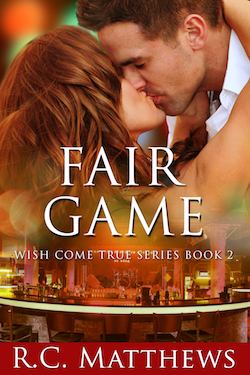 A clean contemporary romance! Who say’s a guy can’t date his sister’s best friend? Leah Anderson has one dating rule…absolutely no men in the medical field! She learned a long time ago from her biological father that men in the medical field care about one thing – themselves. She reluctantly agrees to spend one evening dirty dancing with her best friend’s brother, Jared, despite the fact that he is a medical student and a real jerk to boot. Anything to help out her best friend! Jared Billette has secretly crushed on Leah and acts like a real jerk to her to keep his attraction in check. Some things in life are simply taboo, and dating your sibling’s best friend is one of them. That is until his sister Jordan breaks all the rules by dating Jared’s best friend JT. Now pursuing Leah is suddenly fair game. If only he can help Leah see that her own stupid rules are meant to be broken. This was truly a fun and romantic read. It pulled at the heart strings and had true meaning of family embedded in it. Book two is every bit as wonderful as book one. Matthews has a wonderful knack for describing just enough to give the reader the idea but doesn’t overdo it. Cute, funny and refreshing. I loved this book! After reading Date Night, I thought I had both Jared and Leah figured out – but this book changes all of that.